Japan's Top CheckiO Players and New Missions Unlocked! 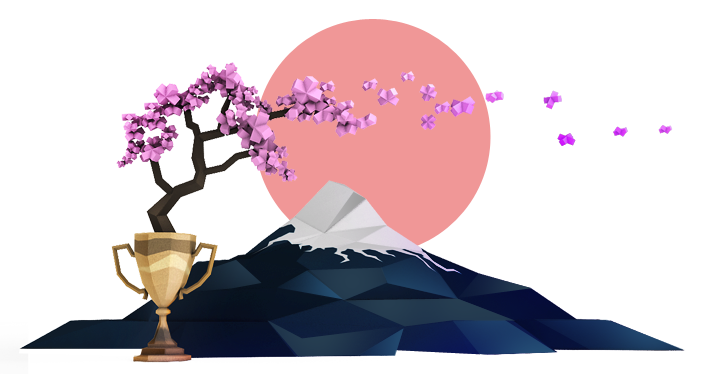 CheckiO's first regional competition has come to a close and that means it's time to announce Japans to CheckiO Programmers! gyahun_dash is our crowned champion of Japan, having earned +426 points with their solutions! ciel came in 2nd place with +374 points for their solutions. Sim0000 came in 3rd place with +352 points for their solution. Lastly, we'll be continuing this series of regional competitions over the next couple of months, and we'd like your feedback! Right now there's a discussion going on over in the forum where players can vote to bring the next competition to their home country!